With our sizeable Wooden Log Store you can continue to enjoy the warmth and homely atmosphere of your open fire, with a perfectly organised supply of logs, kept dry and protected. We’ve designed the perfect home for your winter supply of logs, keeping them in prime condition, ready to be placed straight on the fire, providing warmth for your home throughout the bitterly cold months. 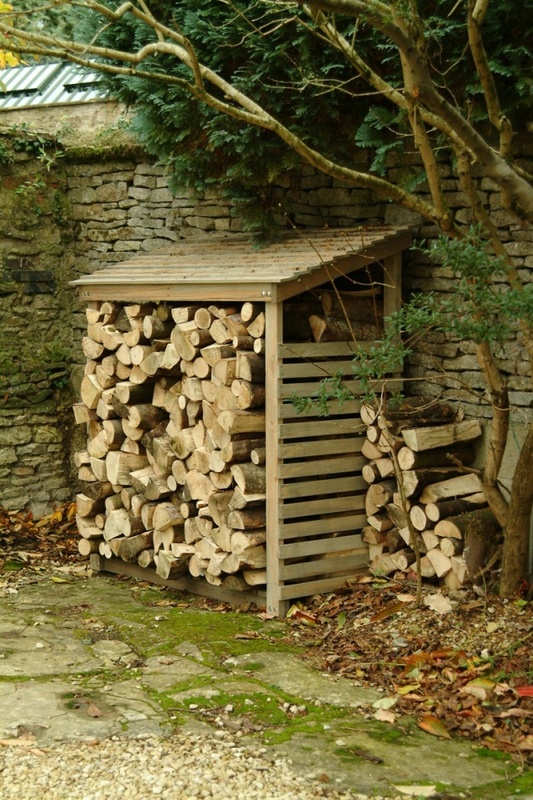 To burn efficiently and safely, logs are best kept dry, so with our Wooden Log Store you can keep your winters stock in the best possible state. Crafted from Spruce Wood, the smooth surfaces and visible grain adds to the alluring characteristic of the material that we’ve especially chosen. Its stylish appearance and enjoyable presence is equally matched by its durability and robust build. We’ve made sure our Wooden Log Store has been designed to be completely weatherproof, ensuring a long lasting product that will be providing protection and style for years to come. Each piece of Spruce is carefully selected, making each of our Wooden Log Stores charmingly individual and seamlessly pleasing, so we can guarantee that your winters provisions are kept protected, awaiting the colder months in naturally designed style and perfect condition.